Bahrain and Egypt officials discussed ways to enhance bilateral cooperation and strengthening the ties between the two countries, especially in the tourism sector. 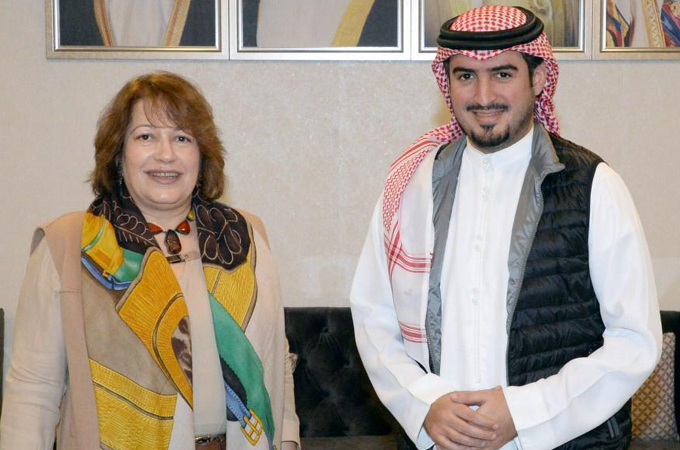 Bahrain Tourism and Exhibitions Authority (BTEA) chief executive officer Shaikh Khaled bin Humood Al Khalifa received in his office Egypt’s ambassador to Suha Al Far on Sunday. During the meeting, Shaikh Khaled stressed the importance of enhancing cooperation and upgrading bilateral relations across all industries, especially in the tourism sector, as a key pillar of the development of the national economy as a whole. In addition, discussions included achieving common objectives through the adoption of tourism initiatives that benefit both Bahrain and Egypt. Al Far affirmed her commitment and readiness to further enhance relations between both countries and explore other bilateral initiatives.